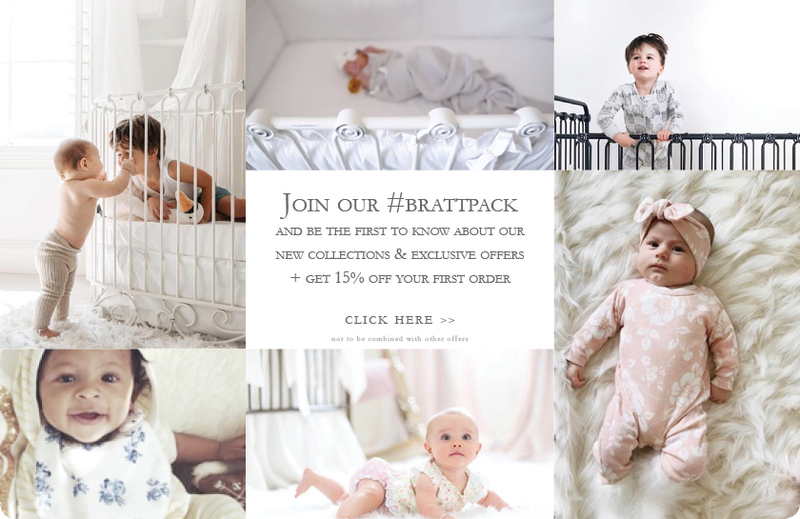 Bratt Decor's exquisite collection of iron/metal baby cribs/cots offers unparalleled quality, safety and design for your baby's room or nursery. Every crib converts in some way, daybed, toddler bed, even full bed. Our vintage look is timeless, and works in every environment. 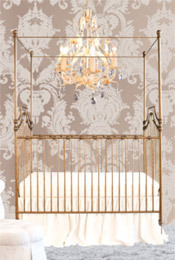 We have oval/round cribs, four poster cribs, canopy cribs, wrought iron baby cribs, cast iron baby cribs and each come in a variety of gorgeous hand applied finishes. Our oval / round sleep systems start as a cradle, then convert to a standard crib, then again to a toddler daybed that exudes contemporary elegance every step of the way. Our powder coated finished are durable and will last. Our Parisian crib is the most convertible crib in the world, and offers up to 9 different set up options! Choose from vintage gold, pewter, which is an aged silver, distressed black and distressed white. 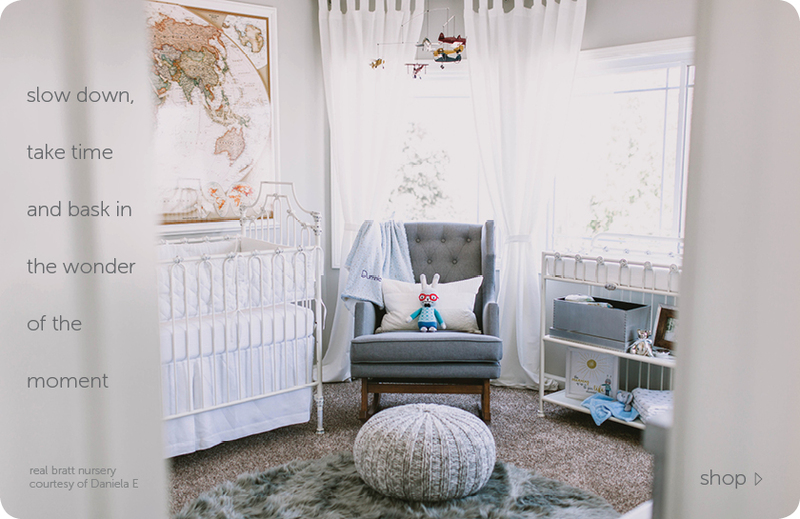 No nursery is complete without baby/crib bedding. 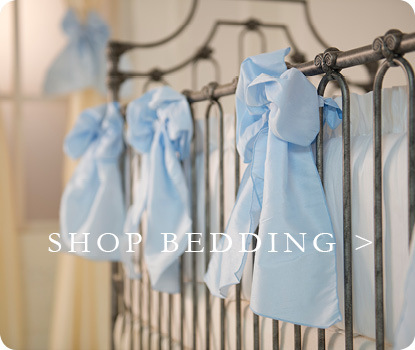 We have gorgeous crib collections in cotton, linen, poly/silk and more. Our signature bedding collections are customizable, so custom create your own look. We offer matching window treatments/curtains, as well as bassinets and moses baskets. 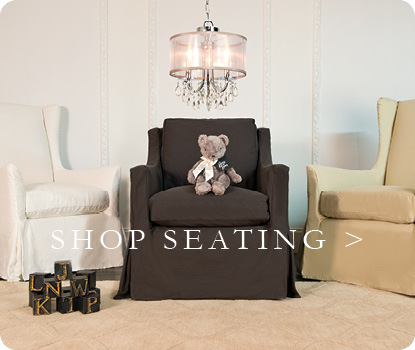 Every nursery needs a great chair, and we offer two luxurious rocker/glider styles, a wingback and a club chair. They rock and glider, and are slipcovered. Choose from linen, denim slipcovers in white, gray, and sand. 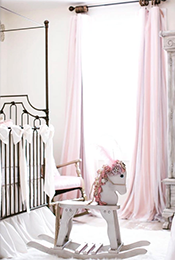 Bratt Decor is the ultimate destination when designing your child's nursery. Be sure and create your baby/baby shower register with us. We have beautiful gifts, plush, teddy bears, giraffes, and more, along with sweet mobiles, night lights and more. If you can't decide, opt for a Bratt Decor gift card and use it anyway you like. There are so many rewards for registering with us, so don't miss out. 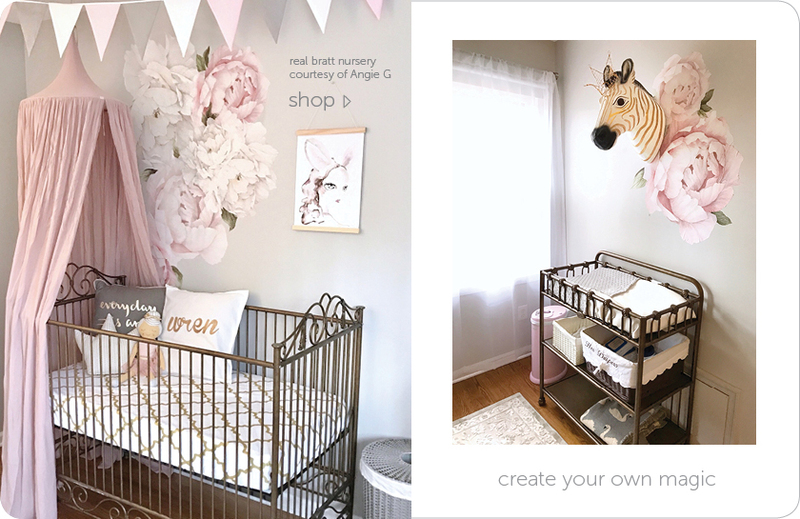 We have it all, rugs, lighting, crib bedding, nursery accessories, wallpaper, artwork, baby changing stations, and of course, the most beautiful cribs that you will love for life. Congratulations on this amazing time in your life. We wish you the sweetest dreams.